We can reveal some of the collectibles in the surprise The James Bond Collectors Box from A-Box that was announced earlier this month. The A-Box (available here) will contain (among other things) a gold Aston Martin DB5 keychain and SPECTRE cufflinks. Other items are a t-shirt, stainless steel travel mug, movie poster pin set of 6 and a high end Bond villain coaster set. It's the same keyring as offered in silver on the official 007 store, but then in gold. This luxury keyring shows off the Aston Martin DB5, which is famous for being the most recognised cinematic James Bond car, first appearing in the James Bond film Goldfinger (1964) and then Thunderball, a year later. It is considered to be the quintessential vehicle of the character. The metal cufflinks have the shape of the octopus logo from SPECTRE (an acronym of Special Executive for Counter-intelligence, Terrorism, Revenge, and Extortion). SPECTRE is a global criminal and terrorist organisation featured across the James Bond novels and films. The SPECTRE symbol has seen a number of changes over the past 50 years, but remains a important and recognisable piece of James Bond iconography and a potent symbol for James Bond's most tenacious adversary. 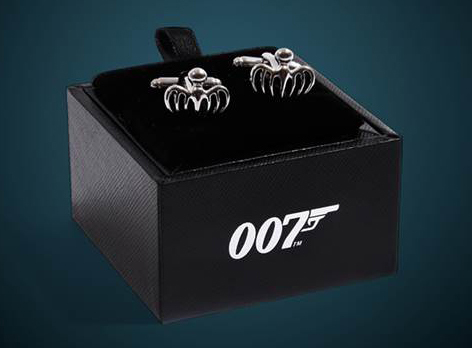 The cufflinks feature the latest symbol as seen in the movie SPECTRE (2015). 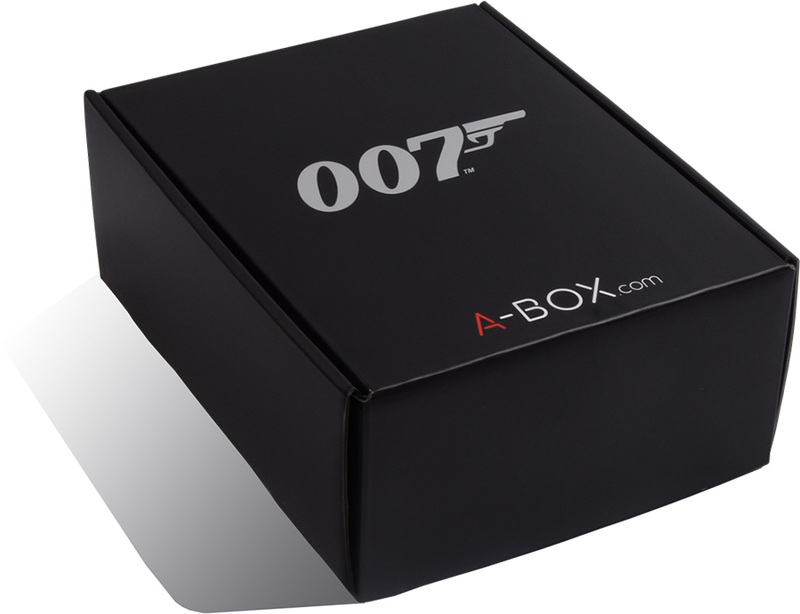 A-Box announced a Limited Edition James Bond Collectors Box earlier this month. 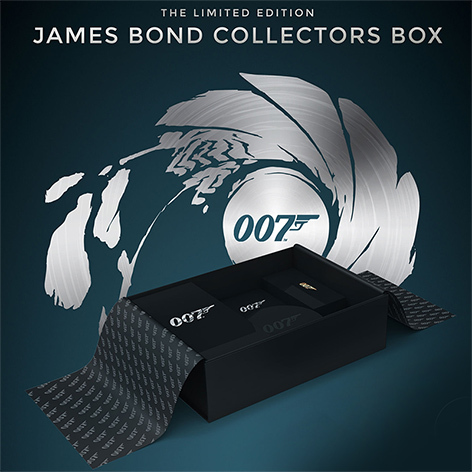 The James Bond box contains officially licenced clothing, collectibles and more. Each box costs £39 (or $39 / €45). The Limited Edition James Bond Collectors Box can be ordered now and will ship on December 15th 2017. A-Box is available in the USA, UK and across the EU. Find out more on A-Box.com. Find this and other gifts in the Bond Lifestyle 2017 Holiday Gift Guide.